Dear Drum Diary is a place for me to document any interesting grooves or rhythmic ideas I come up with. Note: I often record these ideas on my tablet so the quality of audio is never great! Dear Drum Diary – July from Nick Roberts on Vimeo. Dear Drum Diary – June from Nick Roberts on Vimeo. Dear Drum Diary – May 5th from Nick Roberts on Vimeo. 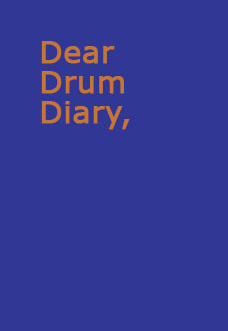 Dear Drum Diary – April 29th from Nick Roberts on Vimeo. Dear Drum Diary – April 24th from Nick Roberts on Vimeo. What Size Drum Sticks Do You Use?